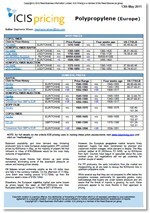 The ICIS Polyethylene Pipe Grade reports are covered weekly in Asia, Europe and Middle East/South Asia. In Europe the report covers two grades of high density polyethylene (HDPE), while Asia and Middle East/South Asia cover four. 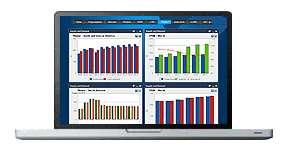 Each report gives an overview and details of influencing factors on the market such as upstream and downstream movements, freight rates, and production news. Whether you are buying or selling polyethylene pipe grade or related products, the unbiased information, market intelligence and news will give the subscriber the confidence to make informed commercial judgements. In the US, June polyethylene (PE) contracts rolled over, marking the sixth flat monthly contract in the past year. History shows that July will be the same. A price increase or decrease in July would be out of the ordinary. In the past five years – July 2012 to July 2016 – there have been no contract price changes during the month. European PE prices came under considerable downward pressure in Q2, and this is expected to continue into July, as the price of upstream naphtha falls. Lower prices in Europe could prevent an influx of imports, so the speed of the price decline is expected to slow ahead of further erosion once new capacity comes on stream, particularly in North America. In Asia, PE market participants are hopeful that the polymer market will improve in Q3 after a prolonged price downtrend for most of Q2. Demand, particularly from the housing sector and preparation ahead of the year-end, is expected to pick up as manufacturers replenish their low inventory levels. We offer the following regional Polyethylene pipe grade analysis and news coverage to keep you informed of factors and developments affecting prices in the Polyethylene pipe grade marketplace. ICIS pricing focuses on pipe grade high density polyethylene in resin form for natural grade and black material. HDPE80 and HDPE100 grades are used for different pressure and non pressure applications, with HDPE100 offering higher pipe properties. ‘Black’ compounded material is regulated by PE100+ association with certification and recognition from the International Standards Organisation. These pipes can withstand high operating pressures, improved resistance towards UV, surface notch damage during pipe laying and rapid crack growth. These properties have encouraged its used in major pressure applications such as water, heating, oil and gas pipelines compared to traditional piping materials. Natural grade resins are non regulated materials requiring the need to compound them and adding colour masterbatches and carbon black to achieve the specs needed for a specific application. The pipes are compounded according to the needs of the buyer and project that it is intended for. These pipes are typically used in piping for sanitation, agricultural irrigation and as ducting materials.